"Excuse me, do you have a moment to talk about our lord and savior, Mufasa?" @I shjt you not, "Have you found Simba?" @I shjt you not, oohhhhooo. Say it again. @I shjt you not, ooohhhoooo it tingles! "Notice how I am between you and your rifle"
"What are you doing with that sniper. 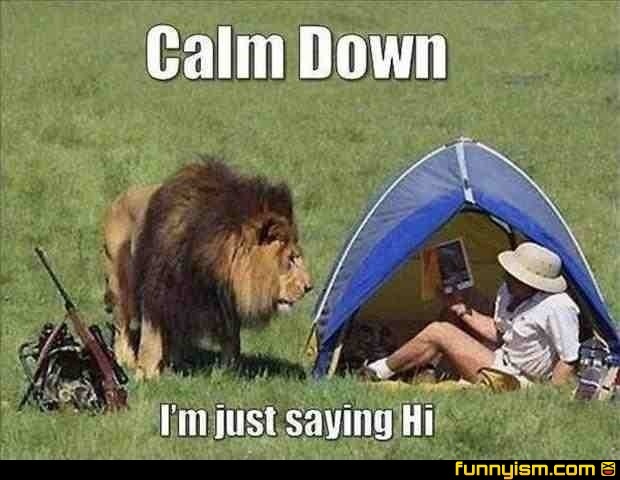 Be honest I know when you're LION to me"
See's fellow hunter in serious danger. Takes a picture.